Thousands rallied in the Malian capital Bamako to protest the failure of government and international peacekeepers to stem rising ethnic and jihadist violence, notably the massacre of around 160 villagers last month. It followed the March 23 massacre by suspected militiamen from the Dogon ethnic group of rival Fulani herders in Ogossagou, the deadliest act of ethnic bloodshed in West Africa’s Sahel region in living memory. Six years after French forces intervened to halt a jihadist advance from Mali’s desert north, violence spread across the Sahel to neighbouring Burkina Faso and Niger. 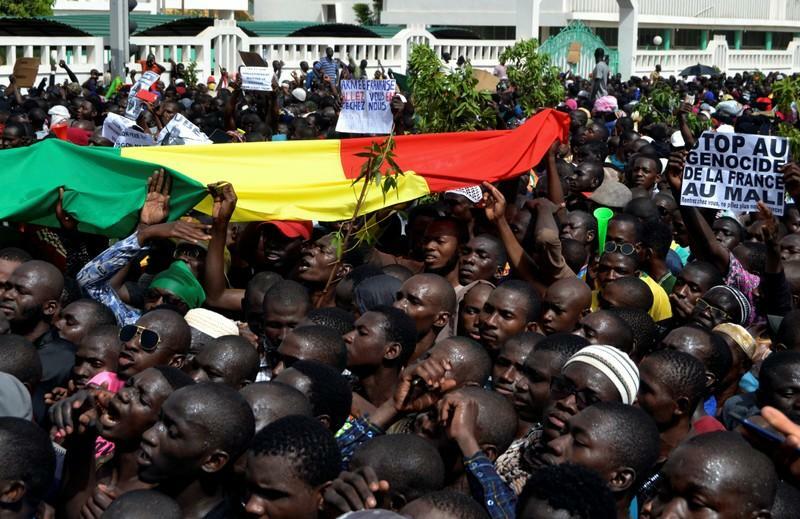 While helmeted riot police looked on, protesters held signs calling on Mali President Ibrahim Boubacar Keita and the United Nations MINUSMA peacekeeping mission to leave. Keita responded to the attack on the Fulanis by disbanding an anti-jihadist vigilante group, whose fighters are suspected of being behind the massacre. Over 200 people have been killed by anti-jihadist self-defence groups in Mali since the start of this year, according to the United Nations, which dispatched human rights experts to investigate the March attack. “We hold government responsible for the deterioration of the situation,” said former minister Hamadoun Dicko. Friday’s march was largely peaceful, although at one point police fired teargas and protesters threw stones in response. Organisers called for another protest this week.